Side by side with Kansas Gov. Jeff Colyer and other elected officials, CoreCivic leadership took shovels in hand, broke first ground and cemented a public-private partnership to modernize the state’s 150-year-old Lansing Correctional Facility. 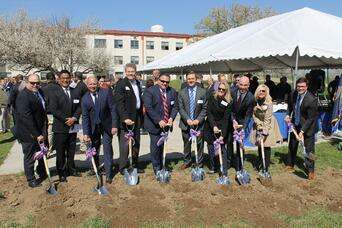 The ceremony on April 19 in the town of Lansing marked the beginning of construction to build a 400,000-square-foot, new-century facility that will be a company first: Built and maintained by CoreCivic while being operated and managed by the state of Kansas. Construction is on schedule for completion in 2020. "This is an exciting project for CoreCivic Properties," said Damon Hininger, CoreCivic president and chief executive officer. "Our team brings over 35 years of real estate design and development experience. We're honored to put that experience to work on this state-of-the-art facility, while providing a needed solution for our government partner." Though in early stages, progress is visible. Property borders have been lined with safety fencing and the outdated buildings have been demolished. Workers are installing the facility's underground plumbing and electrical systems. After these installations are complete, the concrete foundation system will be installed to support the buildings. The 2,432-bed, medium-security facility will use energy-efficient LED lighting, and HVAC units with outside air economizers for maximum efficiency to heat and cool its four buildings, which will feature substantial insulation to maintain inside temperatures. 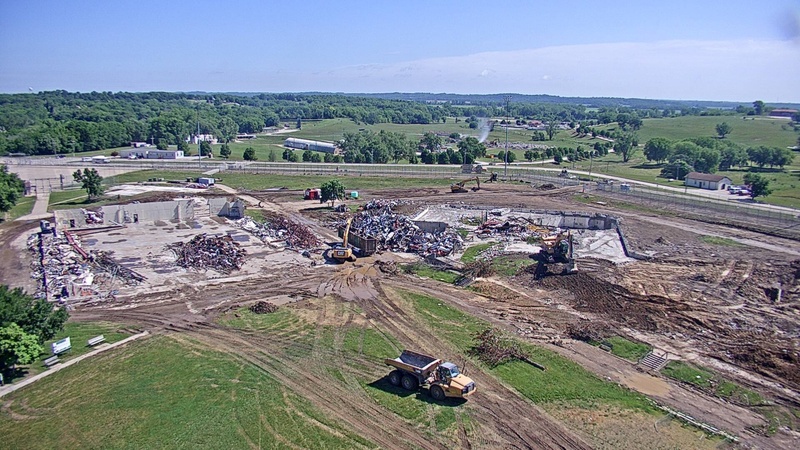 "We're building an energy-sustainable facility because saving both energy and tax dollars is important to the people of Kansas," said Steven Goraczkowski, CoreCivic managing director of Design and Construction. Fortunately, the savings represent only a beginning. This project will require over 350,000 hours of work from Kansas-based contractors, creating more jobs within the community. The state will also benefit from lower operating expenses, and it will own the facility at the end of the 20-year lease. "Our goal with this project is to build a facility that exceeds our government partner's expectations while also stretching their dollars," said Goraczkowski. "There is a lot of work to be done, but working in partnership with all stakeholders, we will deliver a successful project for Kansas."